417 522-5191 contact us for your free on site no hassle estimate. Leave us a message. 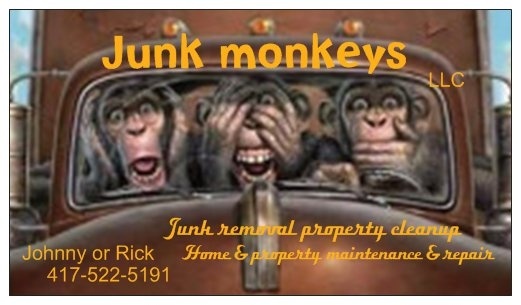 Your feedback is important to us and your opinion does matter to us here at junk monkeys. You can now Follow us on google+ or on facebook. Thank you and a have great day!!. For any questions please leave a callback number in email for a quicker response or give us a call for immediate response. Thank you.